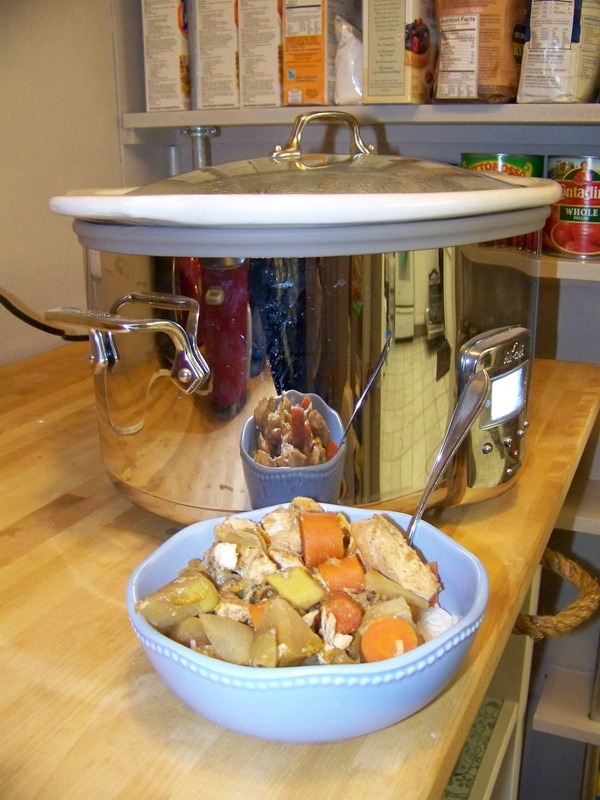 We love using our crockpot. We really don't use it enough but it is always so nice when we think ahead enough to actually prepare it. We also love curry and this recipe combines both! I adapted this recipe from here and it is just sooo yummy! It was even good cold the next day. Slice chicken into 1/2 inch slices, season with salt and pepper and place in the bottom of the crockpot. Add the rest of the ingredients and stir with a non-metal spoon (so you don't scratch your crockpot if it is porcelain like mine) until everything is well mixed. Set your crockpot to low and cook for 8 hours or set it to high and cook for 3-4 hours. A half an hour before it is done, make your rice. Serve over the rice and enjoy! Note: Nate thought there was too much clove taste but I really liked it so if you're not so into cloves, maybe just add one clove or nix it all together.